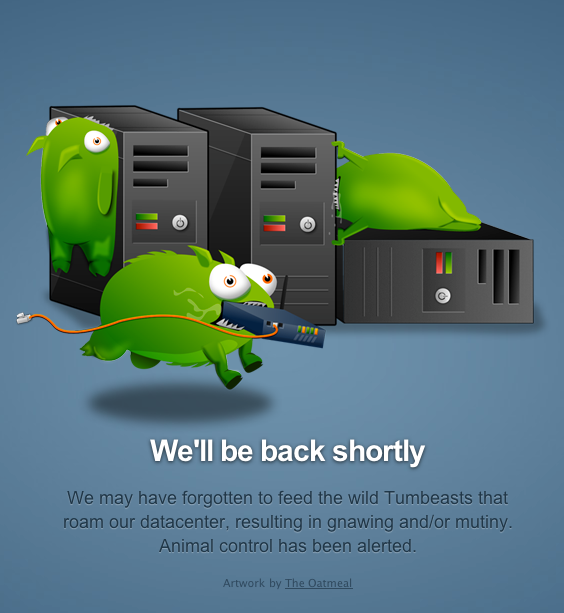 The popular micro-blogging service Tumblr is down again. The last time I noticed was way back in October with Clients From Hell. Now checking tumblr.com we can see the full monty. In addition to the very stylish individual site down pages.